Your dog’s health is — directly and indirectly — influenced by how much time to you devote to dog grooming. Yes, some dog breeds require more attention to grooming than others, but all dogs require some very basic grooming in order to maintain healthy teeth, ears, coat, skin, nails, and eyes. So, just because you don’t have a long-haired dog or a dog with an overbite, don’t think that you don’t have to care for your dog’s fur or brush your dog’s teeth. Even though your dog’s nails will naturally wear down a bit if he plays outside6 a lot or goes on a lot of walks, this doesn’t mean that you don’t have to trim your dog’s nails regularly. Likewise, a dog’s ears and eyes must remain free of debris, allergens, and mites in order to avoid issues with hearing and eyesight. You can choose professional dog grooming, or you can do it yourself. Things like a matted coat and decaying teeth & gums can lead other other dog health problems. Regular grooming goes a long way toward prolonging your dog’s life. How to clean your dog’s ears – if your dog is shaking his head a lot, clean his ears. Furminator dog brush – see how it’s different from most dog brushes. How to trim your dog’s nails – tips to make trimming your dog’s nails much easier. Dog flea & tick preventatives – Frontline Plus is great, but it’s not the only one. 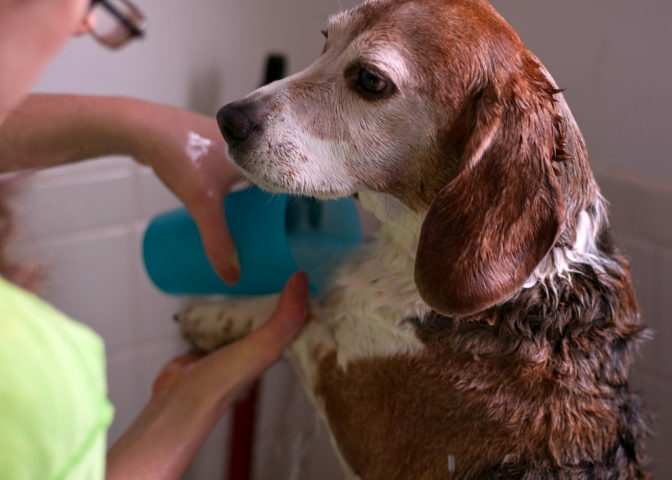 How to give your dog a bath – tips & tools to make bathing your dog even easier. Should you trim a dog’s hairy toes? – some dogs grow extra fur between their toes. How to brush your dog’s teeth – tips to make brushing your dog’s teeth easier. Grooming your dog will take care of the odors, fur, and dirt on your dog. You also need to take care of the odors, fur, and dirt that result around your dog. Your home will look and smell better. Your entire family (and your guests) will appreciate it! Dog odors 101 – a collection of tips for dealing with dog smell. Shedding and dog fur removal – tips for removing dog fur from your furniture, your clothes & everything else. 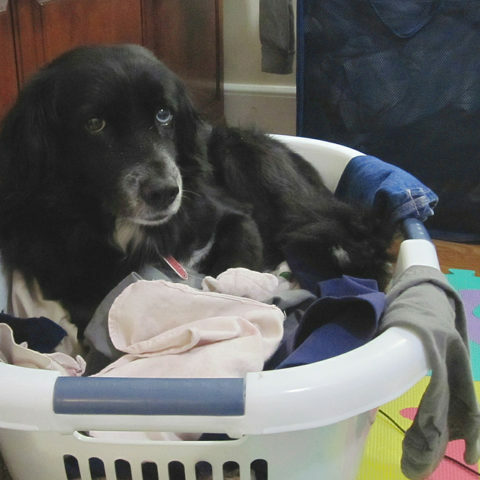 Pledge fabric sweeper for pet hair – see how it works + DIY instructions for making it reusable. How to remove dog urine stains and odors – tips for removing dog pee stains and the odor that lingers. 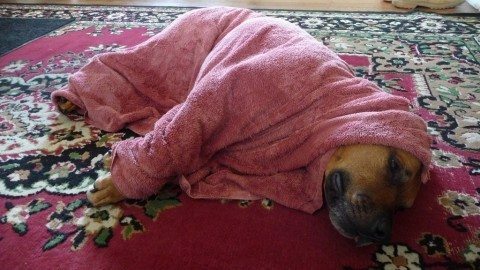 Dog friendly microfiber towels – these are the best towels for dog baths, wiping muddy paws, and more! More DIY dog grooming tips!